As with any project, you may meet upon a few roadblocks or things you didn’t anticipate. Don’t let these setbacks stop you from moving forward. Instead, try to adopt a realistic and positive mindset, both of which can help you cope well when things don’t go as planned. If you find yourself a bit turned around, grab your action plan and start anew. Remember, your overall goal is to be persistent, not to achieve perfection. To help start you off on a positive note, studies have shown that up to 46 percent of people who make resolutions are successful at the six month mark. When compared to the success rate of people who didn’t make resolutions (4 percent), this statistic is remarkable. So, even if there are a few hiccups along the way, keep in mind that you have a very good chance of succeeding. Surrounding yourself with people who can see you through some of the bumps in the road will give your positive outlook extra mileage. An accountability partner can help keep you motivated, will talk through solutions and strategies with you, and celebrate your successes (both large and small). This person will also hold you accountable for the actions you commit to doing. You’ll want to set up regular check-in meetings with your partner so that you don’t lose sight of your next steps. Part of your support system should include tools that work well with your personality and learning style. For instance, you might choose to keep a journal to record your progress or read/listen to a book that gives you specific instructions and action steps, like David Allen’s Getting Things Done. Websites geared toward goal setting (like 43Things.com and StartaResolution.com) can also be helpful. Check out 20 apps to help you keep your New Year resolutions over at TheNextWeb.com for applications on your mobile devices. Here at Unclutterer, we’ve often mentioned that single-tasking helps you to get more done. The same principle applies to your goals. While you might have several goals (and be very enthusiastic about achieving them), if you attempt to work on all of them at the same time, this can become very overwhelming, you may lose focus, and all of your goals can ultimately fall off your radar. Consider focusing on one goal per month and attend to it every day before moving on to the next one. Do you have a Big, Hairy, Audacious Goal (BHAG) on your list? This term was first coined by Jim Collins, co-author of Built to Last: Successful Habits of Visionary Companies. You don’t have to be a corporation to have a BHAG, but you do have to approach it in the right way. BHAGs are not your average goals. They are large and meaty and achieving them can have a huge impact not only on you, but also those around you (those in your inner circle, colleagues, and your community at large). Because of their size, ambitious goals won’t necessarily be completed in 365 days. But, once attained, they can be extremely gratifying because of the effort you put in to getting to the finish line. Since you won’t see immediate results, keep your vision of progress in line with long-term planning. Chip away at your BHAG systematically and routinely and seek support from others so that you can have a better chance at successfully completing it. Go ahead, get excited about your big, hairy goals, but be sure to keep the right perspective. As you think about the steps you need to take to bring your Resolution Action Plan to fruition, don’t rely solely on motivation and willpower. Arm yourself with a few tools and strategies that will help you succeed at a keeping your New Year’s resolutions. A reminder that tonight is the first stop on my Unclutter Your Life in One Week book tour in Chicago at The Book Cellar from 4 until 7 p.m. When do you do goal setting? Some people focus on goals when their birthdays roll around, when life-changing events occur (having a baby, moving to a new state or country, changing jobs), or when the current year comes to a close. In fact, making New Year’s resolutions has been a long-standing tradition that began with the Babylonians. It’s part of the fabric of many cultures to improve on the previous year’s endeavors. So, at this time of year, it’s quite common to think about ways to make positive changes or to renew your efforts to achieve a goal that’s been on your list. You might feel driven to be better, to surpass your personal best in one or more areas of your life. Yet, like many people, you may struggle to keep your commitment. “Old habits die hard,” as the saying goes. It’s not just that old habits are difficult to change (because they are), but you might be creating goals that are impossible to reach. How many resolutions are on your list? How easy or difficult are they to achieve? Do you include the people you’ll seek help from to meet your goal, or do you plan to reach the finish line on your own? Do you focus on these finer points or do you simply create a list of things that you’d like to change in your life? Making resolutions may not be the best use of your time if you don’t think through these questions and identify the reasons why you want to make some adjustments. In addition, if your goals are not put in a framework that is easy to understand with clear, actionable steps, your ability to successfully achieve them will be impacted. Have you thought about why you want to achieve a particular goal? How you will feel once you are successful? Danielle LaPorte, author of The Fire Starter Sessions: A Soulful + Practical Guide to Creating Success on Your Own Terms and creator of The Desire Map, suggests that whether you want a new job, an uncluttered home, a new gadget, or to be at your preferred weight, what you’re really after is the feeling you’ll get from achieving those goals. You’re essentially thinking with the end in mind. You’re taking a few steps into the future and basking in the feelings that you will have once your goals are met. Getting acquainted with these feelings can be an effective way to not only identify specific things to change, but also to prioritize the ones that deserve your full commitment and attention. While writing a list of what you’d like to achieve is a great start, creating a detailed action plan with the necessary steps and timeframes for completion will likely move you closer to achieving each of your goals. This is also a great time to think through any challenges you may face and brainstorm ideas for managing them. You’ll also want to figure out what resources and tools you might need. As you develop your plan, include action steps that are specific and that you can realistically tackle given your schedule and other commitments. Set yourself up for success by not taking on more than you can reasonably handle. Your plan doesn’t need to be created by January 1. It needs to be well thought out and that doesn’t happen overnight. You may need to put your plan aside and come back to it with fresh eyes. You might ask a trusted friend to look it over and offer feedback. Don’t rush the creation of a plan that can have a big impact on your life. Set a realistic deadline for completing and implementing your plan. The deadline will give you something to work toward and hold you accountable. Creating New Year’s resolutions doesn’t have to be difficult and tedious. In fact, it can be very motivating and help you realize dreams or goals that you’ve been meaning to accomplish. Schedule time to come up with a reasonable plan of attack and be sure to reward yourself for each milestone you reach. Over the last few weeks, we’ve shared holiday gift ideas (even last-minute ones) and now that there is just one more day until Christmas, today’s tips are geared toward safety. Whether you’re uncluttering or planning a holiday event, it’s important to unclutter potential hazards. Your pets will probably get included in the holiday fun, but there are some things that can be dangerous for them. In a recent interview, local D.C. veterinarian Dr. Katy Nelson mentioned that decorations like tinsel and curling ribbon (both are very attractive to cats), can be very problematic to a cat’s digestive tract. She also mentioned that the water your live Christmas tree sits in, though not toxic, can be upsetting to your pets, so make sure that they aren’t drinking it. For more information on ways you can keep your pet safe, check out the ASPCA’s holiday pet care tips and visit WTOP.com to hear the rest of Dr. Nelson’s safety suggestions. There are several plants that can be harmful when consumed by pets and humans and one popular holiday plant, the Poinsettia, is on the list. Though you’ll probably only feel ill if you eat it, other plants like Mistletoe, Amaryllis, and Holly are seriously poisonous. If you have them in your home, keep them out of reach of children and your four-legged friends. And, since the needles from Christmas trees can also be choking hazards, try to keep little hands interested in other things. To see the full list of plants that can be harmful, read Poisonous Holiday Plants on About.com Chemistry. Just as you wouldn’t put your tree in front of a fireplace or near a portable heater (this is a fire risk), you’ll also want to keep your entryways accessible. Keep your decorations from blocking doors and hallways so that you can easily exit in the event of an emergency. This is a good, uncluttered idea for all times of the year, not just the holidays. If you have a fireplace and intend to use it during your celebrations, remove any decor (like stockings) from around it before you light a fire. If you use candles, do not put lit candles on your tree and be sure to blow them out after using them. 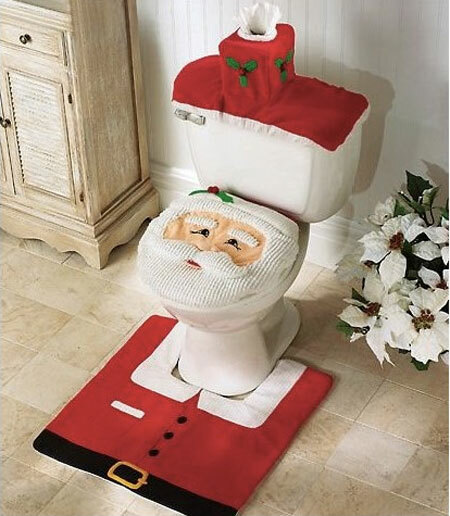 You’ll also want to keep them away from gifts and place them in an area where they cannot be easily knocked over. At the height of the festivities, you may forget that you have food simmering on the stove or in the oven. Consider designating someone to periodically check in on the kitchen if you can’t do it yourself. For other safety tips, the U.S. Consumer Product Safety Commission (CPSC) has a guide that you might find helpful. Though your holiday plans are probably well underway, take a look around and and use today’s uncluttering tips to ensure that you will have fun and be safe this holiday season. There are just five more days until Christmas. If you celebrate the holiday, are you finished with all your planning? Do you still have last-minute things you need to take care of? A few gifts on your list that you haven’t purchased yet? If so, you’re not alone. Many people tend to wait until the Saturday before Christmas to finish up their holiday shopping. Whether you get a thrill from getting it all done on Christmas Eve or you’ve just been a bit busy, here are some last-minute tips to help you get ready for the big day. If you choose to buy a physical gift, you can avoid the stores and shop online. Many online retailers offer a variety of shipping options, but be sure to confirm that they can indeed deliver your order by December 24. And, as usual, stick to your list so you don’t overbuy and clutter your home with unnecessary gifts. Holiday decor will bring a festive mood to any room. But, when you’re short on time, it probably won’t be possible to decorate your entire home or office, so select a few areas that you can easily add a few decorative items. A handful of candy canes in a glass bowl can be a simple (and yummy) way to bring a little holiday cheer to a space. Your efforts don’t have to be incredibly involved. If you plan on entertaining and hosting your own holiday party, consider asking your guests to bring their favorite dish or beverage. That will save some time on grocery shopping and reduce the time you spend cooking and cleaning up afterward. When you are in the kitchen, it will probably be helpful for you to cook something you’ve had success with making in the past so you don’t try to figure out how to make something new. And, if you’re going to have overnight guests, be sure you have clean towels, bed linens, and toiletries on hand — but now is not the time to redecorate the guest room. Check out our 2012 Holiday Gift Giving Guide for more ideas, and remember, no matter what you have left to get done, you also need to have fun and enjoy your time with friends and family. Sure, they’re totally offensive decorations — depositing one’s “milk and cookies” down Santa’s throat is WRONG — but still they’re just decorations. When push came to shove, I ended up choosing an intriguing unitasker. 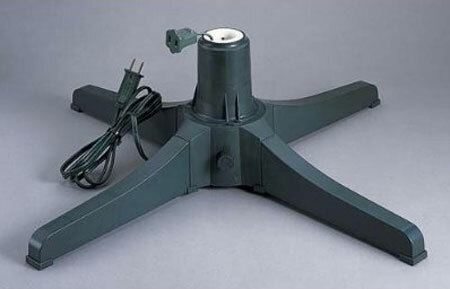 It’s an artificial tree spinner, and, as its name implies, it spins artificial trees. Why? I HAVE NO IDEA! I think it should really be named the ornament flinger, as that is exactly what would happen if I put this thing under my tree. Goodbye strange cowboy snowman from my mom! Oh wait … maybe this artificial tree spinner isn’t a unitasker after all? It’s an ugly ornament unclutterer! For all the unitaskers and useless doo dads the past decade gave us, at least there were a few gadgets that helped to get clutter out of our lives. If you’re looking at a Great Paperwork Filing Project of 2009 or 2010, try the following method from the “Tuesday at Work: Fixing Your Files” section of Unclutter Your Life in One Week to get it under control. If you have a home office and space is rather limited for all of your peripherals, you may want to look into multifunctional printers. What do you do with all the artwork your kids bring home from school? What happens with all the drawings, paintings and macaroni collages they also make — lovingly — for you at home? They’re so cute, but refrigerator doors can only hold so much! My wife and I implement a simple process of editing, displaying and swapping that serves us well. It does take a little honesty and “tough love,” but it works out quite well. In essence, these pieces of art tell a story. You can watch Jr.’s skills evolve, and notice what he notices in his daily life. This story, like any other, needs editing. Now that the year draws to a close, it’s a good time to sit down with the stack and identify the keepers and the rest. What does a keeper look like? A first. For example, we saved my daughter’s first attempt at drawing people who weren’t stick figures. I’m wearing an actual shirt! Other firsts might include a new home, new puppy in the family and so on. A beautiful piece of art. Every now and then they’ll knock your socks off with something that looks downright good. Those examples definitely go in the keep pile. Holiday Theme. As I’ll explain later, it’s nice to grab something to represent Christmas, Thanksgiving, summer or whatever you celebrate. Only one, though. Something Meaningful. Maybe you’ve got something that was made on a special trip, on a memorable occasion, or for a reason that has great significance to you and your family. Just be careful not to let your emotions get the best of you here or you may go overboard. Now that you’ve identified the cream of the crop and eliminated a lot of clutter potential, it’s time to give the winners the respect and prominence they deserve. Here are a few ideas. Frame them. You can find inexpensive matted frames in various sizes at photo supply stores, craft stores and even the supermarket. They hang on the wall and really make that art look special. We’ve found that you can store three or four paintings or drawings in the frame behind the piece being displayed. So, we’ve got four frames that actually store 16 pieces of art. As the seasons (or our whims) change, we simply take the frame off the wall and rotate which piece is in front. Make a digital photo book. Shutterfly and Apple’s iPhoto will let you create beautiful hard-bound books of photos. You can snap photos of your children’s art and in a few steps have a beautiful coffee table book of their work. This is especially useful for items that might break like pottery or tree ornaments. These are also great to share with grandma, grandpa and other loved ones who don’t get to see your childrens’ art in person. Finally, here’s how to get great photos of objects at home on the cheap. Create a home gallery. This can be a lot of fun and gets the kids involved in the editing process. Pick one area of the house, perhaps a single wall, to be the art gallery. 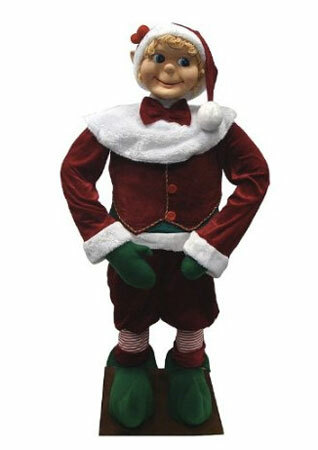 Avoid Jr.’s bedroom because you want this to be visible to all visitors. Have her select the pieces to be displayed. I love this idea of putting a frame around an office clip mounted to the wall. How easy to swap pieces in and out. When the gallery gets full, take a photo, then pull that “exhibit” down and begin replacing it with the next one. Re-use. That painting needn’t be a painting forever! You can turn it into a greeting card or laminate larger pieces and use them as place mats. When swapping out some pieces, consider sending them to far-flung family and friends. Chances are they’ll love having them. Another option is Kids Art for the Cure. This organization takes donated artwork and puts them on greeting cards. Proceeds go to recognized cancer research organizations. Or, consider Child’s Own Studio. This company builds actual stuffed dolls based on your child’s drawings. What do you do or have you done with children’s artwork? Share your success stories in the comments. What do you do with your cards after the holidays have passed? Do you keep them on display for a while or put them away in a box? Do you throw them out? When the holiday season comes to a close, you may find it difficult to part with them. If you’re not quite ready to let them go or not sure what to do with them, they can easily clutter your space. Instead of them taking over the top of your dining table or whatever surface they’ve landed on, consider using them in different ways so that you an extend their usefulness. Digitizing your cards may be a nice option especially since you can use your favorites as desktop screen savers. You can scan them and continue to enjoy them long after the season has ended and not have to worry about them cluttering your home or office. And, when you decide that you no longer want them, uncluttering will just be a few, quick clicks away. A fun idea I’ve seen linked to numerous times on Pinterest is to snap pictures of family photo cards you receive with your smart phone and link the images to your contacts so the appropriate picture appears when you get a call. Ashley Ann Photography has a tutorial on her site for how to do this project yourself (the tutorial begins halfway down the page, so you’ll need to scroll). Did you know that you can donate new and used holiday cards? The St. Jude’s Ranch for Children accepts used all-occasion greeting cards year-round. Children who participate in St. Jude’s Kids’ Corp. program use your old cards to create new cards for sale. Also check with your local community and senior centers, schools, and after-school programs to find out if they have a need for writing and craft projects. 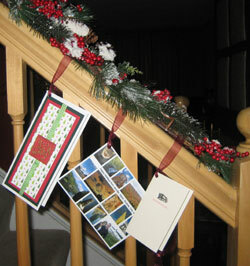 Used holiday cards can be transformed into holiday postcards. Whether you’re sending your usual holiday greetings or participating in Holiday Mail for Heroes, you can host card-making parties and involve friends and family in the card-making process. Last week, I mentioned that you can make something fun with orphaned socks. Well, you can do the same with holiday cards, too. Indulge your creative side and make gift tags (Instructables has a tutorial), paper ornaments, placemats, magnets (using photo cards), book marks, or game and puzzle pieces. Why not frame the cards you love? Pick a spot on a table or wall to display your favorite ones. If you have several cards that are meaningful to you, consider using hinged frames (like the Easy Change Artwork Frame) so that you can easily rotate the cards you’d liked to display. Depending on the size of the frame you use, you may also be able to include multiple cards at one time. No matter how you choose to repurpose the holiday cards you’ve received, remember that you can be creative with ways to get more enjoyment from them. Just be sure that they don’t end up cluttering your home or office. And, don’t forget, you can always trash and/or recycle them. Instead of tangible gifts, which have been the focus of our Guide in 2011, we are recommending a service as the ultimate gift of generosity. We suggest getting your favorite unclutterer a few hours of consultation, uncluttering, and organizing with a professional organizer. I’m someone who prefers her holidays to be simple and free of rats that tattle on you to Santa Claus, like The Elf on the Shelf. At the start of every year, I get a new notebook and copy all of my lists from the old notebook into the new. The lists help keep me organized, but the process is a terrific way to prepare for the next year. In this holiday season, we wanted to invite all of you to join us for a (virtual) meal. Come on in, grab a seat, sit down, and let’s enjoy a meal together. As much as your uncluttering strategies and techniques have made a positive change in your life, don’t think about your way of living as being better than how other people choose to live their lives. Think of an uncluttered life as being easier for you. That’s right, fingertip-only oven mitts do not look safe in the least. I’m going to go out on a limb and say that they look unsafe. And, all you can do is grab a plate with them. You certainly couldn’t use them while grilling, reaching into boiling water, or removing a pan from the oven. It’s the holiday season, and we all need a little smile. Similar to our Unitasker Wednesday posts, we think you might enjoy our favorite gifts of clutter. This installment of the Unclutterer Gift Giving Guide explores the virtual world of digital products.